Vidal joined from Bayern Munich this summer, but has had just two starts for the Catalans - and been substituted both times. Barcelona: Barcelona’s Chilean midfielder Arturo Vidal says he is not happy because of his lack of playing time at his new club. “How can I be happy if I don’t play, and me of all people?” Vidal told reporters after joining up with his national team, according to the Diario Sport on Tuesday. 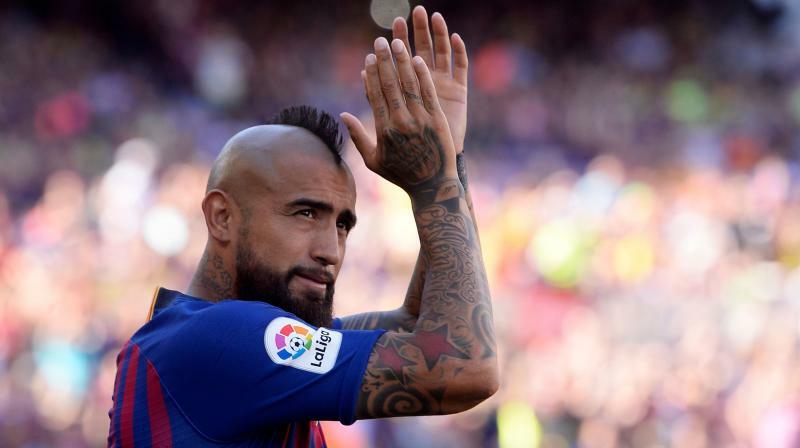 “I am somebody who has always fought, been at the best teams in the world, won everything and who wants to continue winning at Barcelona,” Vidal said. Coach Ernesto Valverde has opted to start young Brazilian midfielder Arthur in the team in recent matches, with Vidal not playing at all in Barca’s 1-1 draw at Valencia in La Liga on Sunday and appearing for just three minutes against Tottenham in the Champions League last week. “I am fine physically and happy. In the past few games I have been a bit annoyed but that is how it is, we will keep battling. There are a lot of important games ahead and we will see,” Vidal was quoted as saying.